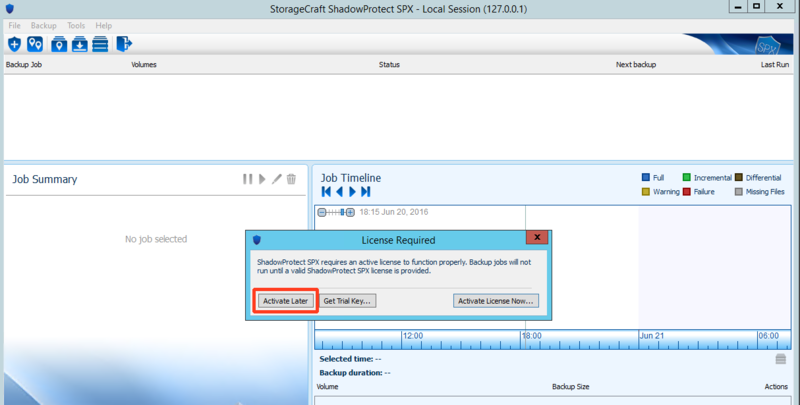 After your ShadowProtect data has been fully copied to the Continuity Cloud (CC) node, it is ready for near-instant virtualization. 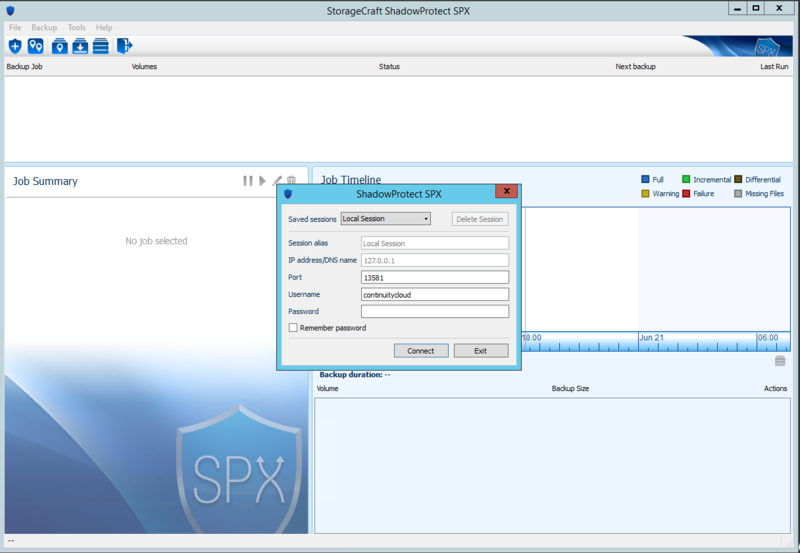 To do this, we use StorageCraft’s VirtualBoot, within SPX, to create a virtual machine (VM) for each server to be virtualized. Step 3. Click Activate Later to bypass the License Required screen. Step 4. 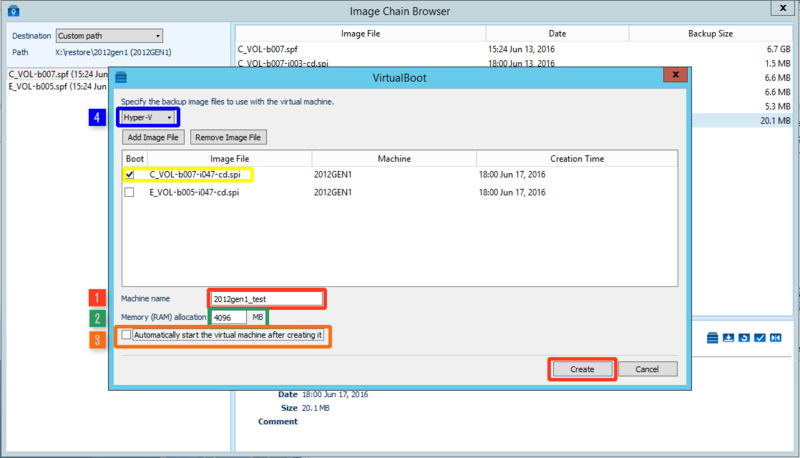 Select the Image Chain Browser icon from the actions menu in the top left corner. Step 8. Highlight the image you wish to add and click Select. 1. Give the VM a Machine name. 2. Specify Memory (RAM) allocation. 3. 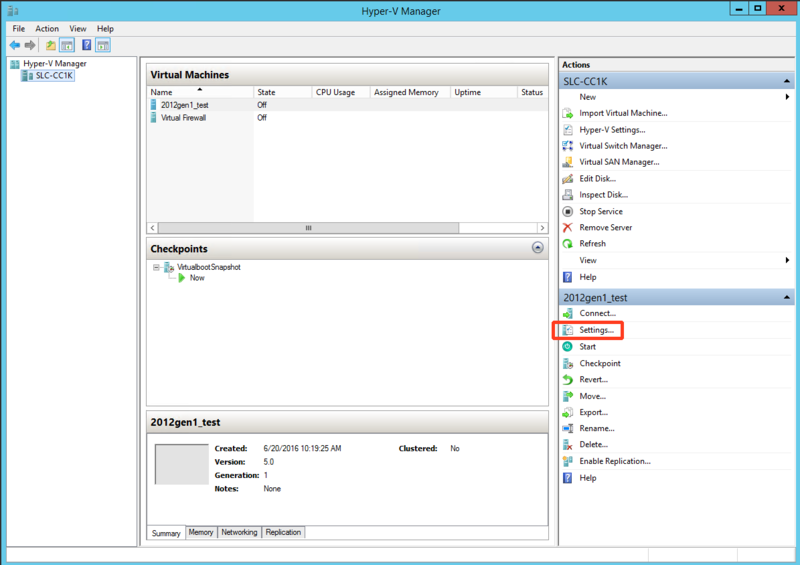 Uncheck the box to Automatically start the virtual machine after creating it. 4. 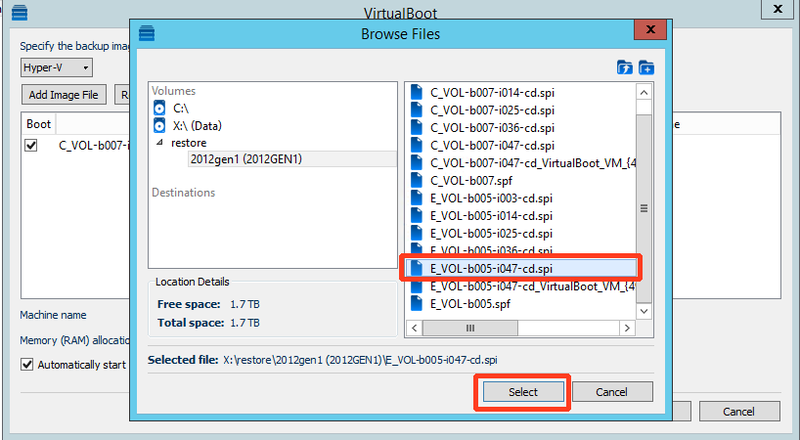 Use the dropdown menu to specify the backup image file types as either Hyper-V or VirtualBox. Step 10. 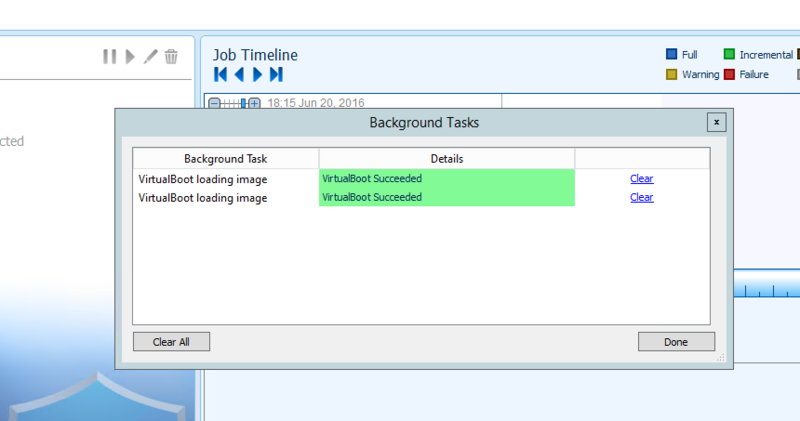 Close the Image Chain Browser window and you will see the progress of the VM being created. Step 12. Click Network Adapter on the left navigation panel. 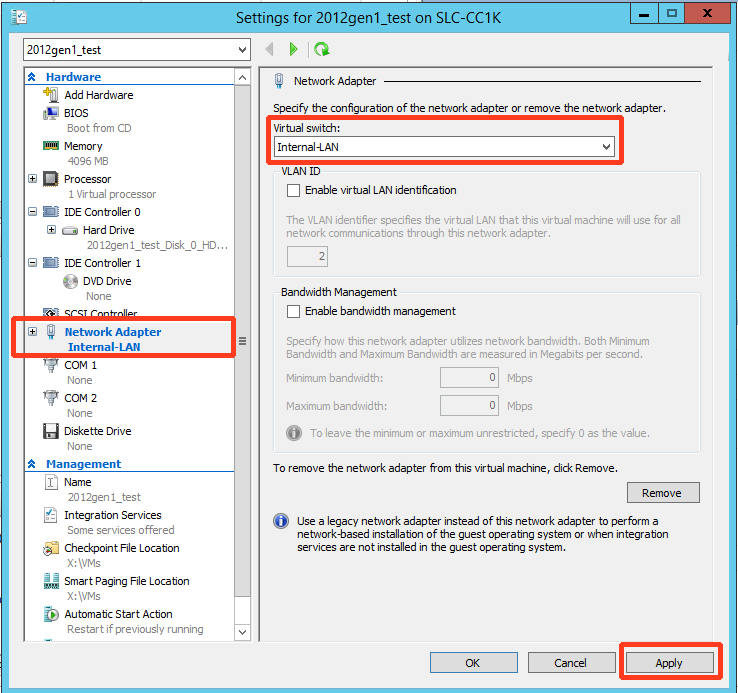 Then, click the Virtual Switch drop down menu, select Internal-LAN, and click Apply.